Concept: "All the sculpture refers to occupies the space, so that the work Demarcation Project Nº IV, is part of a series to studies where the sculptor wants to address space based on the concepts of sculptural tradition. 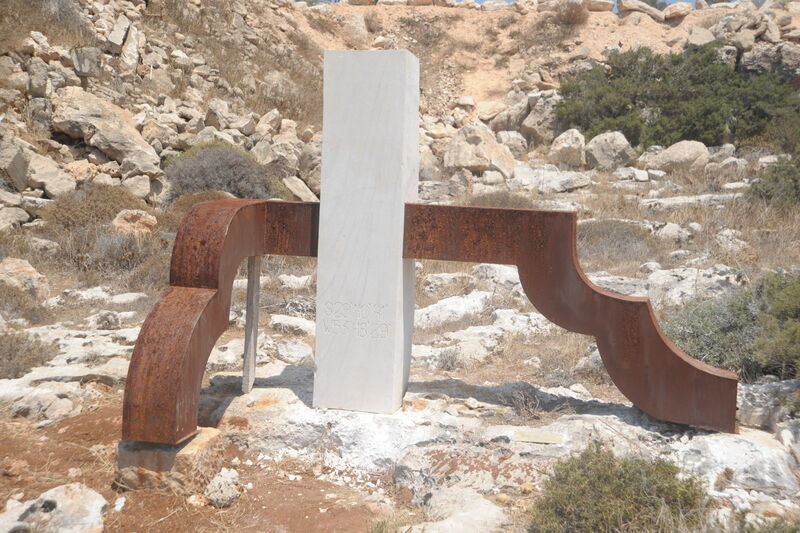 For this makes use of two materials, the stone (of Ayia Napa region) and the steel this industrial material, which will soon be oxidized by time and the winds of the sea, making it clear the time relationship established between a material and others. This work also relates to a number of other works of that research, where the coordinated recorded thereon GPS lets the artist recorded transit, and builds and inserts it in the course of it".